Last year, ITV plc put forward proposals to improve the locality of their regional news services - see ITVâS PROPOSALS FOR NATIONS AND REGIONS NEWS FOR A NEW CHANNEL 3 PSB LICENCE [pdf]. To do this, the length of these new regional programmes will be reduced. Today, Ofcom has (see Ofcom - Ofcom sets out licence terms for ITV, STV, UTV and Channel 5) agreed to the proposals in principle, but has keep the obligation for a full half-hour of regional news for Granada, London. 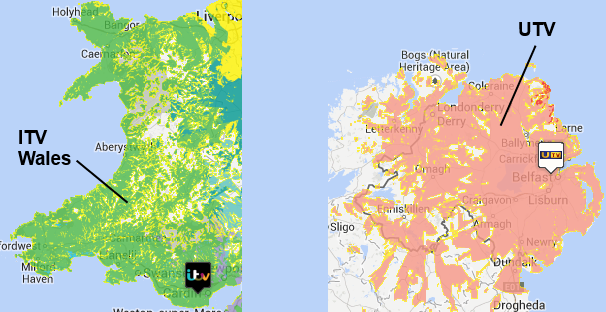 The Border TV region, which straddles the England-Scotland border, has also been afforded special attention. Meridian South East (Maidstone) and Meridian South Coast and Thames Valley (Southampton). Note that Thames Valley gets 2 minutes per weekday opt-out. The Border Scotland area will get 90 min a week of "non-news regional programming (including current affairs) a week, in or near peak-time, also with a particular focus on Scottish issues ", which may be shared with STV. No changes are made for Scotland: the existing system of separate news programmes for the North (Grampian) and South (STV) licences, each with 5 minute daily opt-outs for the Glasgow/Edinburgh split and the Aberdeen/Dundee split will remain. MJ Ray: there will be a full posting about that tomorrow. Brian:- It looks from the map you've published as if Brighton is still in the S Coast region as far as ITV is concerned, rather than the SE region that BBC have transferred it to. Is that correct? (You can see that I never watch ITV news!). Richard Davis: Yes, that is correct. Whitehawk Hill moved to BBC South East at switchover, but ITV kept it in Meridian South Coast. 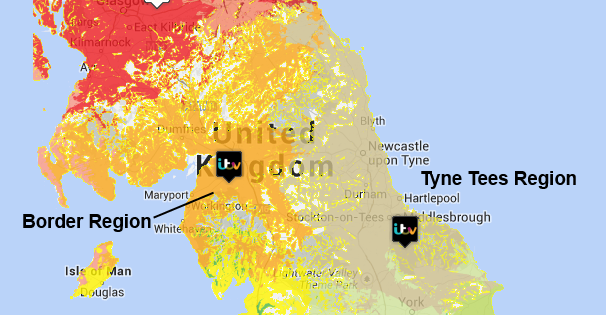 How do the new ITV local news regions compare with the BBC? | TV channels | ukfree.tv - 11 years of independent, free digital TV advice . My referecne is the ITV site - http://www.itvmedia.co.uk….pdf . Thank heavens someone's seen sense at last,will be nice to have our own news on Calender again.